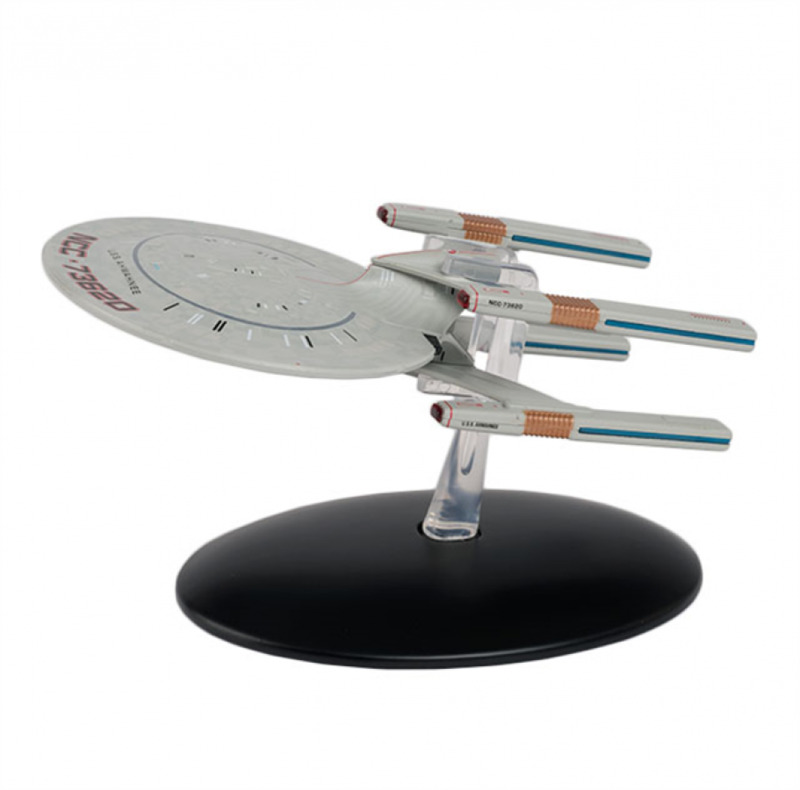 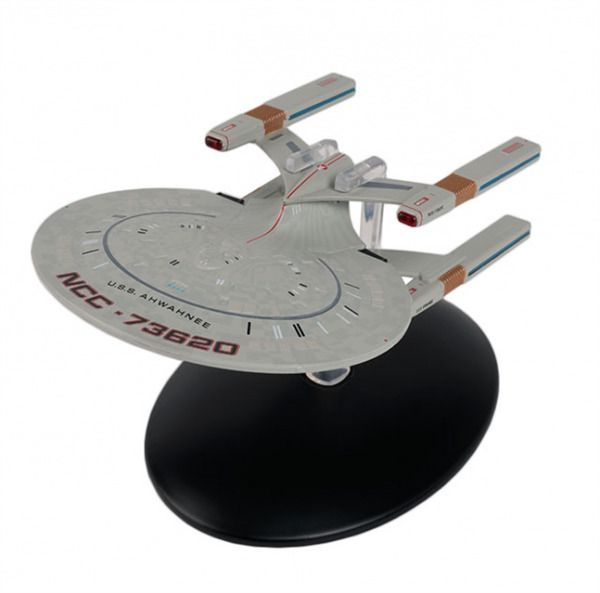 The latest model starship in the Star Trek Official Starships Collection is the Cheyenne Class (U.S.S. Ahwahnee). 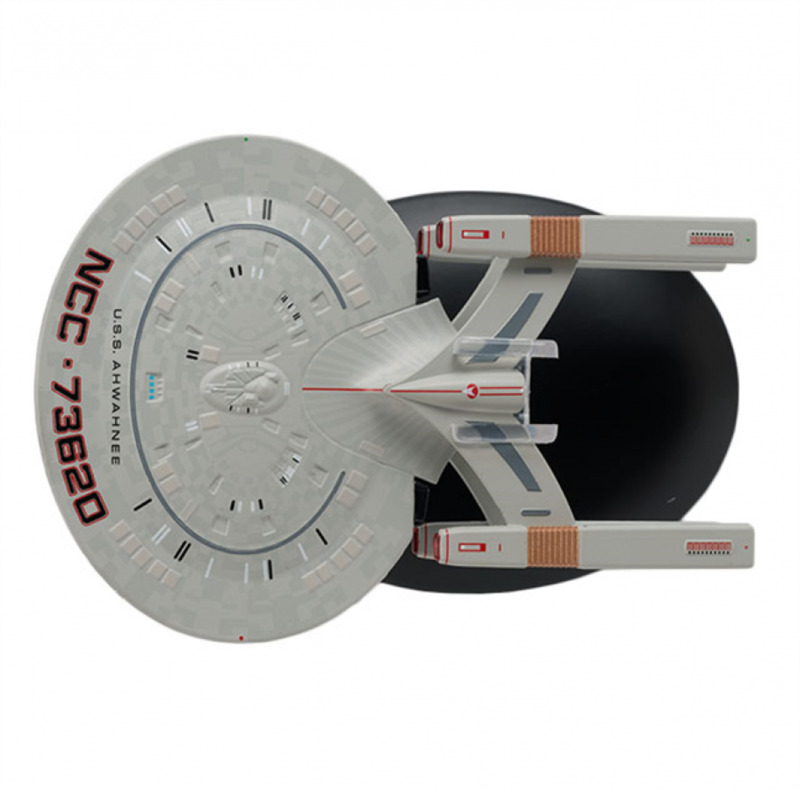 This Cheyenne-class, 24th-century Starfleet vessel had four warp nacelles and fought the Borg at the Battle of Wolf 359. 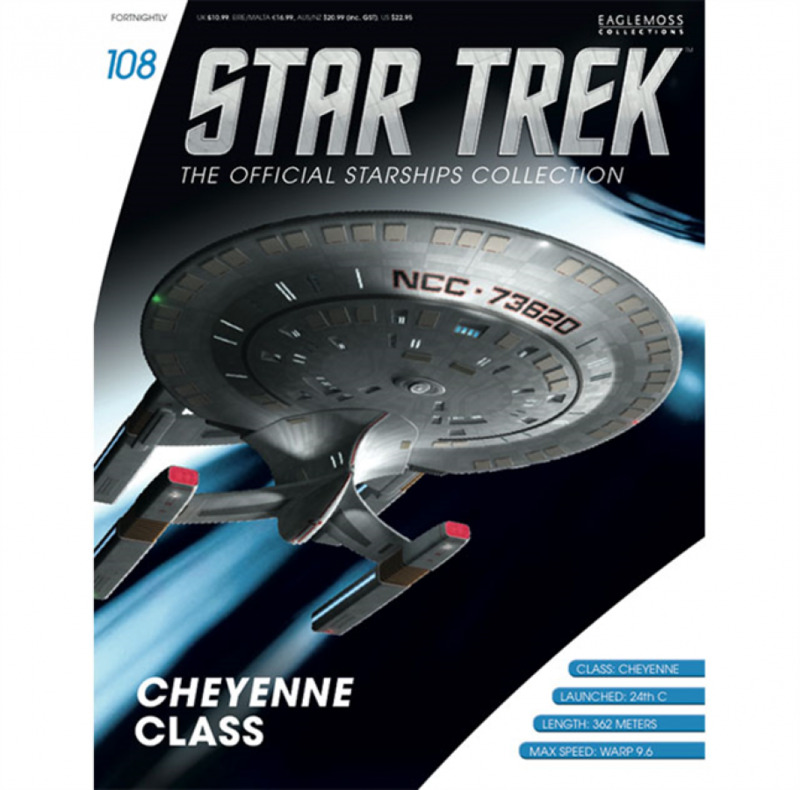 This highly detailed model comes complete with a magazine featuring how model maker Ed Miarecki designed and built the Cheyenne class with the help of Michael Okuda, plus a look at the making of 'The Best of Both Worlds', and how the ‘graveyard’ scene featuring all the destroyed Starfleet ships was filmed. 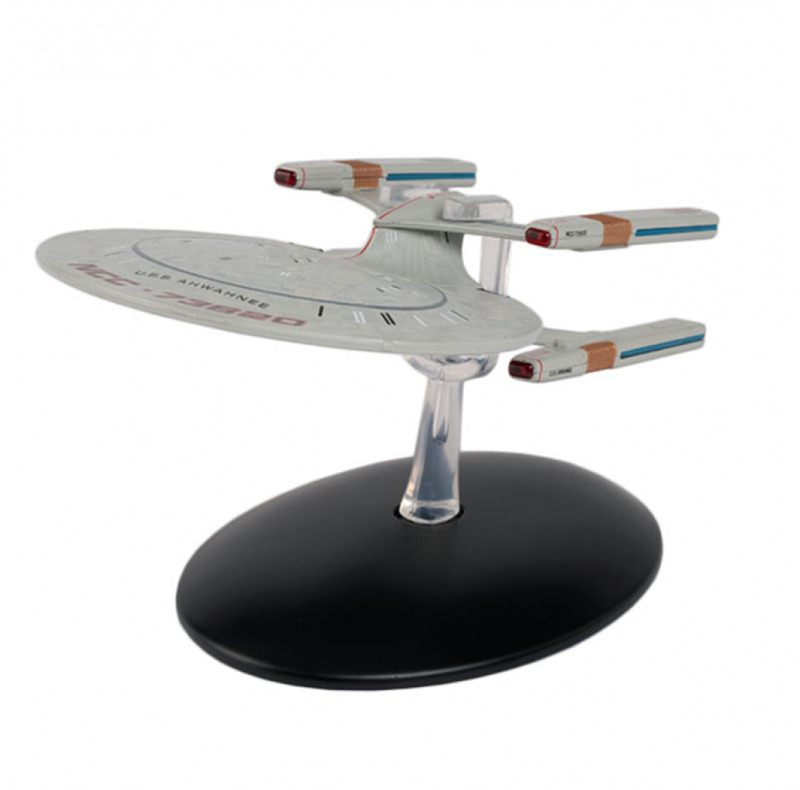 The model comes with stand and English magazine.